This event is not possible without our charter members so any charter member who arrives early will get VIP shopping time beginning at 1230 to get first pick at all the awesome Corals alongside other charter members! We'd also like to thank our event sponsors for helping us put together this event, The San Antonio Aquarium, Bulk Reef Supply, Reef Nutrition, Reef Hobbyist Magazine, and our friends over at Pod Your Reef! Admission into the aquarium for frag swap attendees begins at 12 with doors opening to our frag swap at 1PM! Please RSVP on our admissions site (link below) to be sure you and your guests' tickets are covered! The San Antonio Aquarium, where guests are encouraged to, "Sea to Believe as we connect children and families to the planet, ranging from our rain forests and deserts to the exotic species of ocean." Reef Hobbyist Magazine, since 2007 Reef Hobbyist Magazine has been providing FREE cutting-edge reef-keeping information to hobbyists to encourage responsible reef-keeping and sustainability of our hobby. Digital issues are available FREE, 24/7 on their website, and FREE paperback issues can be found at many San Antonio LFS's. 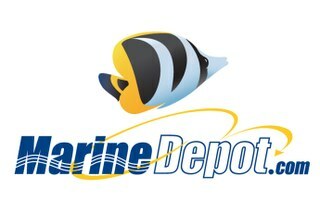 Bulk Reef Supply, "Bulk Reef Supply sells supplies and equipment for saltwater and reef aquariums, including food, testingsupplies, filters, pumps and additives." Neptune Systems- Neptune Systems has been building the industry's best aquarium controllers for the last 17+ years. Our Apex System is the best-value Aquarium controller on the market. is the world's largest producer of marine microalgae concentrates. We supply algal feeds and zooplankton to universities, marine ornamental growers, and over 500 fish, shrimp, and shellfish hatcheries in 80+ countries around the world. We will be handing out free coolers to the first 10 Charter Members to check in after 12PM. Additional goodie bags will be handed out on a first come first served basis during admissions check-ins. Winners MUST be present at time of drawing. Charter Member ID card is required for purchase of raffle tickets..
​LMAR 2019 will host 13 of Texas’ finest coral reef vendors!